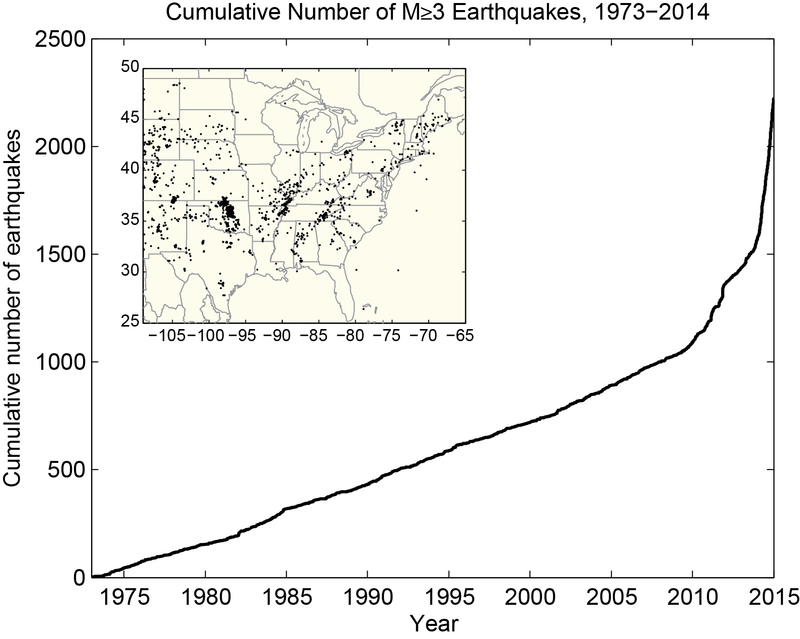 A United States Geological Survey (USGS) document released last week documents an increase in earthquakes likely caused by human activity, mapping 17 seismically active pockets in eight states. We have covered this topic often. 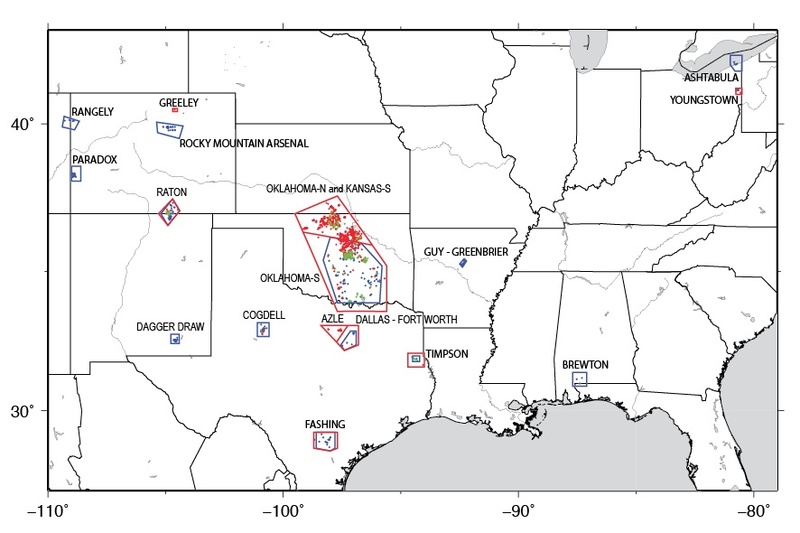 There is now ample evidence that proves that injection wells associated with fracking cause these quakes, particularly in Oklahoma, the center of the map above. 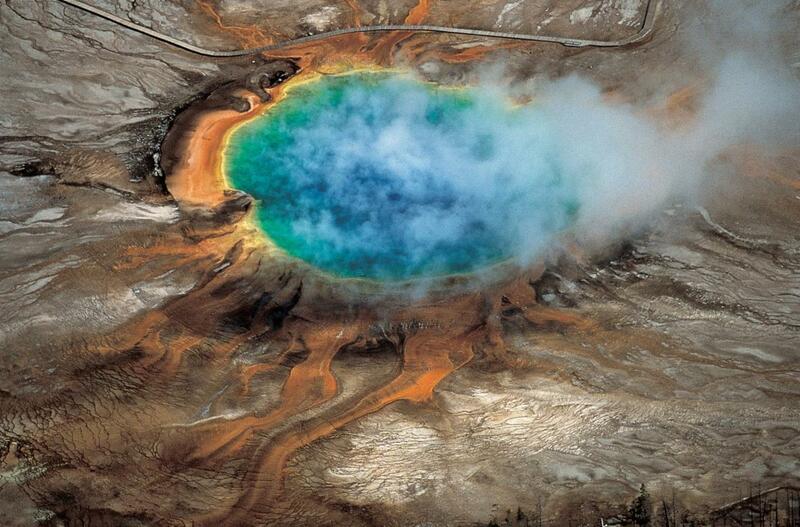 What does it mean for the Yellowstone caldera? While Montana and North Dakota have not seen this same level of induced earthquakes, the juxtaposition of the USGS report with a new report, also issued last week, by a team of University of Utah scientists on seismicity in the Yellowstone volcanic system offers a reminder that what we don’t know about earthquakes and fracking should scare us. The richly-colored Yellowstone Grand Prismatic Hot Spring was caused by the Yellowstone caldera. Photo: Robert Smith and Lee Siegel. The report describes for the first time a large reservoir of hot rock, mostly solid but with some melted rock in the mix, that lies beneath a shallow, already-documented magma chamber. The newly discovered reservoir is 4.5 times larger than the chamber above it. There’s enough magma there to fill the Grand Canyon. The reservoir is on top of a long plume of magma that emerges from deep within the Earth’s mantle. While the report doesn’t change the timetable for a future major eruption, it is a reminder that we act at great risk if we jostle the earth’s crust. The report indicates that the next earthquake in the region could occur within the boundaries of Yellowstone Park, just 60 miles away from drilling activity in Stillwater and Carbon County. This entry was posted in Fracking Information and tagged earthquakes, induced earthquakes, injection wells, man-made earthquakes, Oklahoma Geological Survey, Yellowstone caldera. Bookmark the permalink.